New for 2016, APsystems presents the YC500i microinverter with EnergyMax™, designed and built for today’s high-output modules. Now offering trunk cable connectivity, the dual-module YC500i gives installers another option for array design and layout. 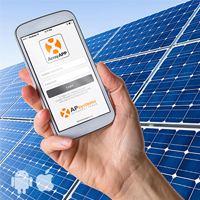 ArrayApp from APsystems puts power in the palm of your hand. Installers will save time and money on the jobsite with this all-in-one mobile tool for microinverter array registration and commissioning. Now available for Apple and Android handheld devices. 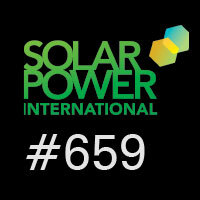 Product training, hands-on demos, great promotions and even a smoothie machine – join APsystems at our enhanced, interactive booth #659 at Solar Power International, Sept. 12-15 in Las Vegas. 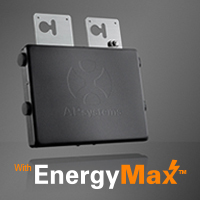 See the full line of APsystems advanced microinverter products, including the powerful new YC500i with EnergyMax and the ArrayApp all-in-one mobile installer tool. Summer is winding down, and with it our HOT rebate season for APsystems installers. We’ve already given out HUNDREDS OF THOUSANDS of dollars in rebates through this outstanding promotion. 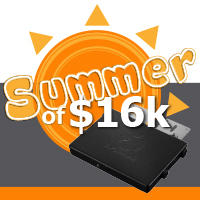 Take advantage of the APsystems Summer of $16K promotion: now thru Sept. 30, earn up to $40 back per microinverter - up to $16,000 in total rebates. View Online | Update Profile | Forward Information subject to change at anytime.